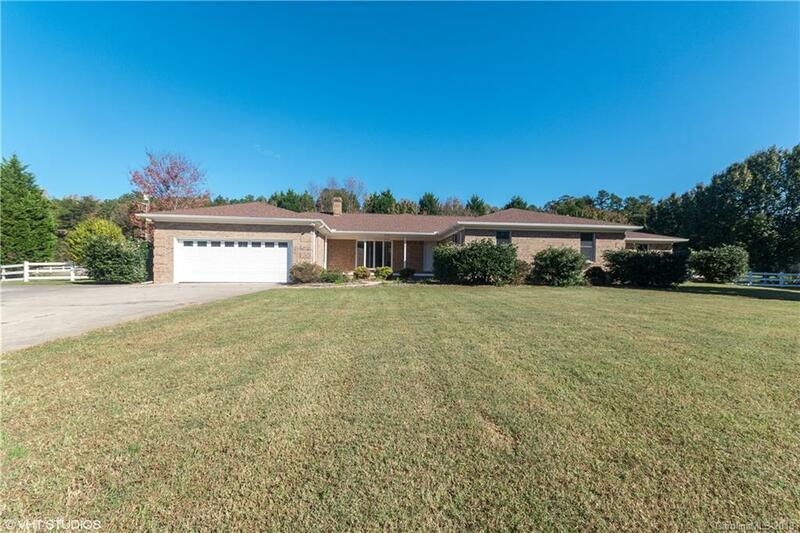 Triple Detached Garage and Double Oversized Attached Garage make this Custom Brick Ranch Home Special! Beautiful Sunroom with Cathedral Ceiling off Island Kitchen. Front Porch and Rear Patio areas for Outdoor Enjoyment. Fireplace in Living Room. Home also offers Basement area. Mature Landscaping on 7 acres with Beautiful Bradford Pears, Vinyl fencing and concrete drive and additional parking areas. Don't miss this one! Selling Office: Apple House Realty Inc.